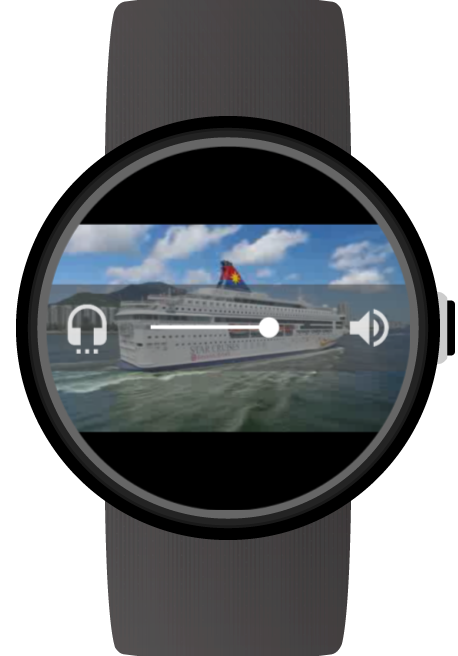 Appfour likes a challenge when it comes to making apps for Android Wear. 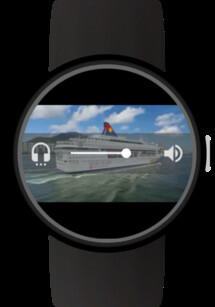 Try to think of an app that you can imagine very little use for on a tiny watch screen, and Appfour has probably already made it: browser, Gmail client, YouTube Player, messaging, PDF and Drive viewer, Calendar, and more have been developed by the team who continues to cater to the demands of a very niche section of Wear users. 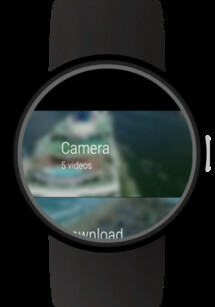 Obvious jokes aside, Appfour always does a professional job of whatever app it's releasing. 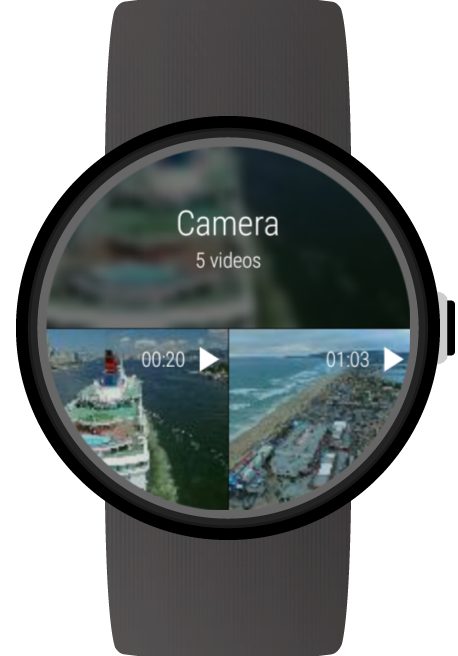 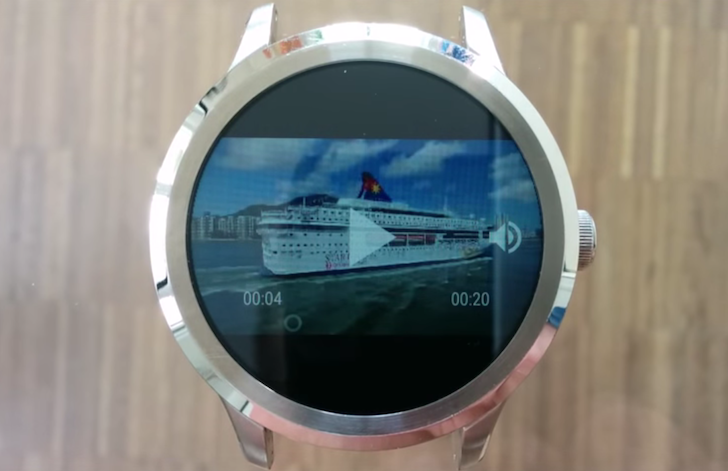 Video Gallery for Android Wear can play all videos from the different storage folders on your phone, it organizes them by month to make it easier to access older videos, has play and pause and volume controls, and an option to delete a video or share it with Appfour's mail app. 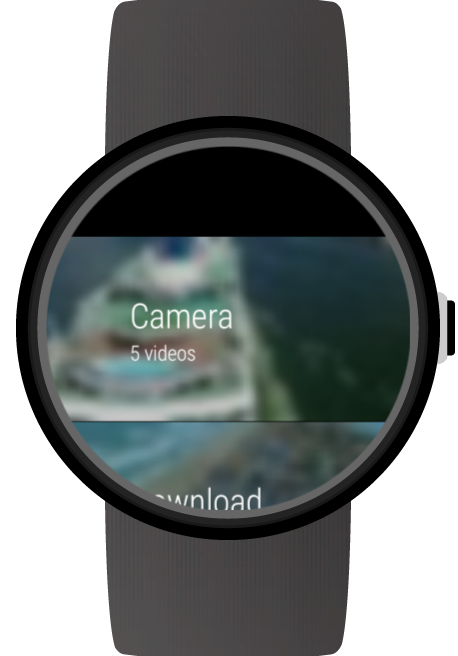 The app's free version only displays 10 videos per folder, so you'll need to pay for the IAP to see all videos. But the free version should give you enough to check if that's something you want to use and pay for or not.